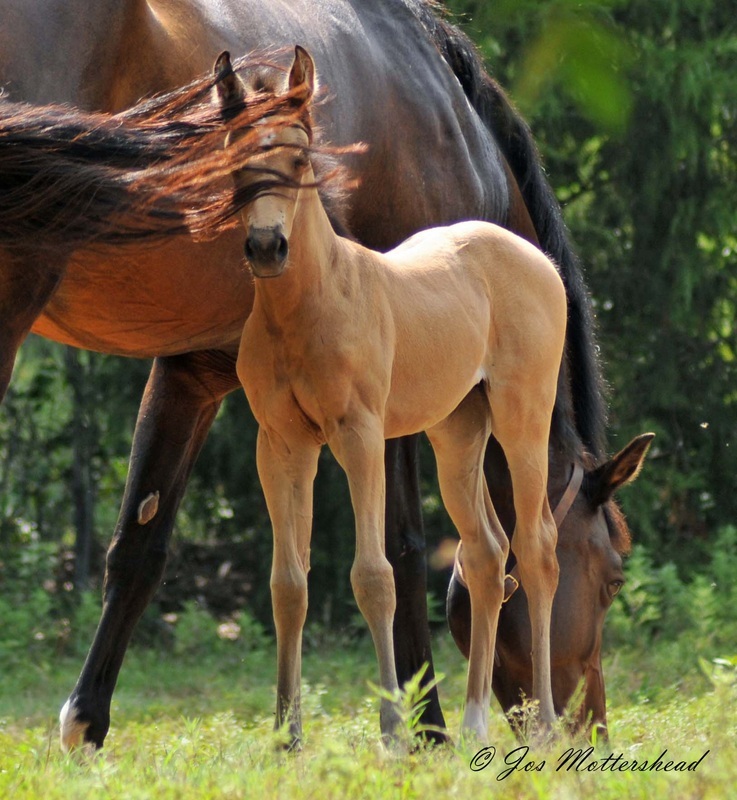 Gold Pixie Dust d'Avalon is a beautiful, bright buckskin color with impeccable breeding. Her sire, Goldmaker, is one of only a handful of Thoroughbred stallions that have successfully completed a stallion performance test. And he is currently the only cremello Thoroughbred stallion in the world to have done so. "Tink's" dam, Nic Nac, a premium Holsteiner mare, has a pedigree that reads like the Who's Who in Holsteiner breeding. A dressage performance mare until a career ending injury, Nic Nac is a kind, beautiful mare with a no nonesense, easy temperament.